Even a year ago there was no choice of bluetooth-headsets, only Ericcson actively produced them, but it was rather fashion product than commercial one. As a result, prices of accessories were very high; they were sold at half-price of the phone or even more expensive. Today the situation changes, a customer can choose a suitable wireless handsfree device among dozens of products and not only those ones that made by mobile phones manufacturers. 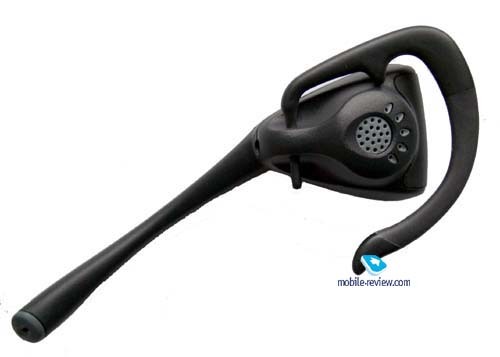 The most important things today are convenience of bluetooth headset, its price and operating time. Let’s view advantages and disadvantages of several models. We won’t speak too much about technical features of each bluetooth headset, we’ll better share our impressions after using these devices. 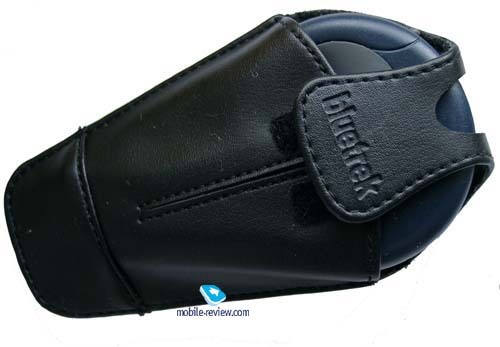 Frankly speaking, all devices, which are available on the market, are almost the same, the functionality depends more on the phone, which is used with this or that wireless handsfree. We tested all models using two phones Sony Ericsson T68i and Siemens S55. In both cases operating time of bluetooth headsets were almost the same, so, we publish average results below. Traditionally, it is better to begin with devices made by Sony Ericsson, a pioneer of this market segment. 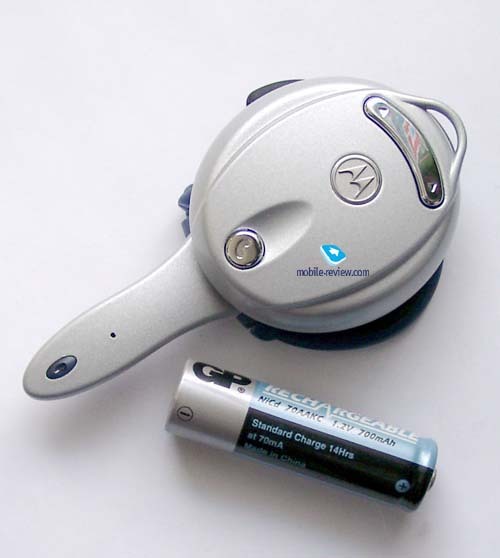 A modern product line includes two products: HBH-20 and HBH-30; other handsfree devices have been already taken out of production, although they can be found in some shops. HBH-30 is a successor of a classical line, though in response to design it is made in futuristic style. 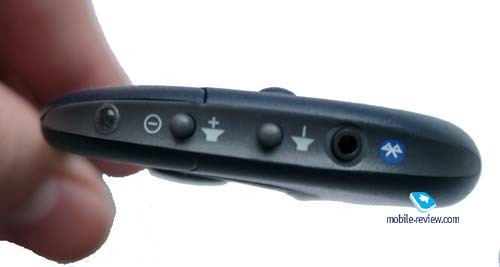 This wireless handsfree can be worn on both ears, it supports all phones functions, including voice dialing and Magic Word-function (only for the phones from Sony Ericsson). You can also change a sound volume, divert a call to the phone and reject an incoming call while talking. So, technological features are typical to such kinds of products, but as far as materials concerned, it is the best wireless device. 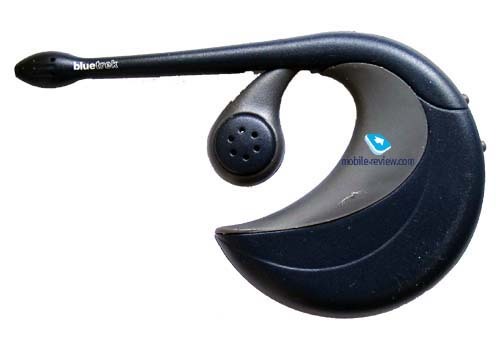 A velvety plastic resembles an elastic rubber and it is very pleasant to wear this bluetooth headset. This device is rather light, the weight is only 28 grams. Manufacturers declared that it could work about 3 hours in the talking mode and up to 55 hours in the stand-by mode. In reality it worked about 2 days (in case of one hour of talking), it’s not bad result, we think. HBH-30 costs approximately 250 USD. The peculiarity of this model is that a manufacturer reduces a range of this device to 5 meters from standard 10 meters. Lesser power provides an acceptable operating time. The only possibility not to stand out against a background of others, wearing a wireless handsfree device, is to use HBH-20. 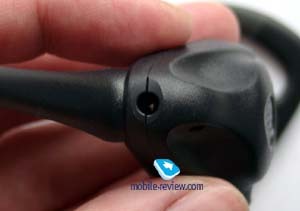 In contrast to other models, it has a usual ear-phone, similar to portable handsfree. This ear-phone is connected to a special module, which looks like a small box that could be put in a pocket. Then, none of passer-bys would understand that you have a bluetooth-headset. 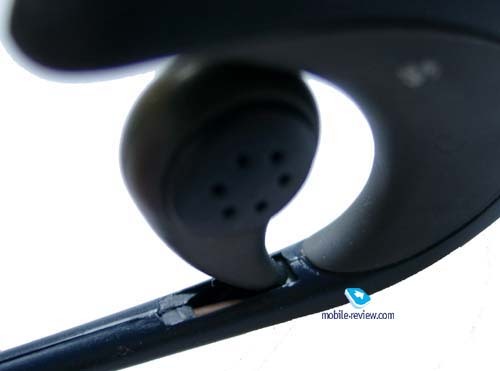 The other virtue of this model is that you can put on this ear-phone, only when you have a call. It seems to us that it is an ideal variant for business users, who have to talk much. Weight of this device doesn’t play any role, though it’s not heavy – only 26 grams. According to manufacturer, HBH-20 has up to 56 hours of stand-by time and up to 3 hours of talking time. In reality it worked about 2 days, so, operating time is comparable to HBH-30. Price of HBH-20 is about 180-200 USD. 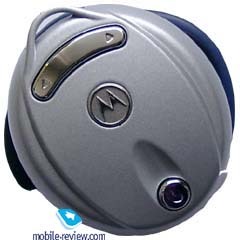 Bluetooth-headset from Motorola is rather popular on the market, probably, because earlier it had one of the lowest price (about 180 USD). 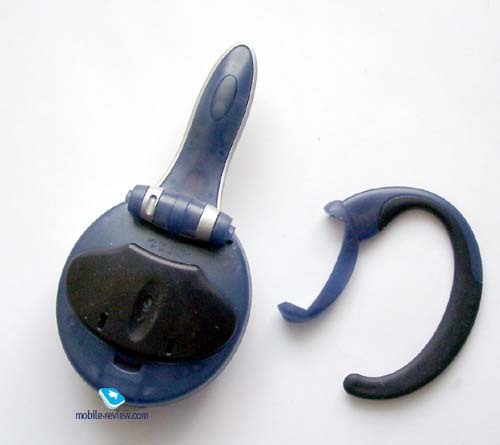 This device, whihc has compact size, is worn on the ear. It is made of plastic, which has a decent quality, but, nevertheless, the product looks like a cheap plastic toy. In our opinion, it’s not acceptable for device of this class. According to manufacturer, lithium-ion battery of 150 mAh capacity provides seven days of stand-by time and 3 hours of talking time. 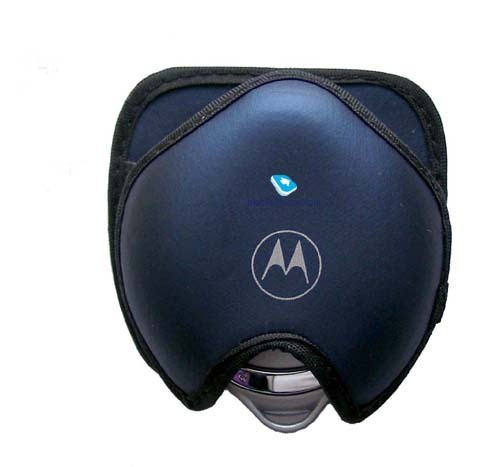 Out field tests showed that this wireless handsfree had the shortest operating time compared to other tested devices. The battery runs down within the day (even 7-8 hours) in case of 25-40 minutes of talking. It was the worst result we got. Apart from bluetooth headset, charger and a case are included in the standard delivery kit. So, advantages of this model are rather cheap price and excellent standard kit and the main shortcomings are bad plastic quality and insufficient autonomy. It’s interesting that Motorola began production of these devices, when the company didn’t have own phone, which supported bluetooth. 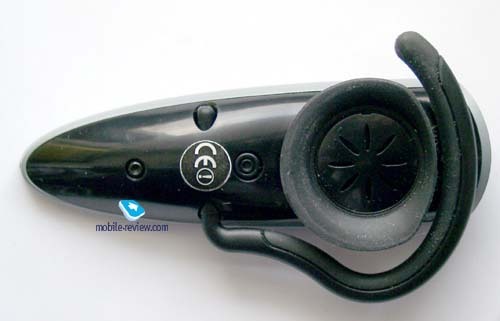 May be, this wireless handsfree is ODM-product, which is named Jabra BT-100. 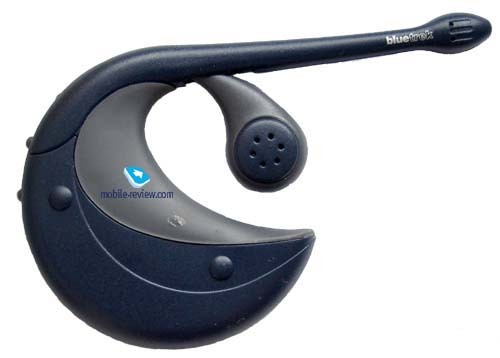 Vice a versa, Nokia didn’t have its own bluetooth headset, when produced phones with bluetooth support. HDW1 was taken out of plans and substituted by HDW2. First deliveries were promised to the beginning of the year, but they have not been appeared yet. Probably, soon, we could see HDW3, which would go on sale and the first two models would remembered only as first prototypes and remained only on beautiful photos. Siemens launched Siemens S55, which supported bluetooth and introduced bluetooth headset - HHB-500. In fact, it is Jabra BT-300, which is produced under Siemens trademark. We tested both devices (wireless handsfree from Siemens and original one, from Jabra), either they had some problems or it was a problem of our phone firmware (Siemens S55, version 4), but voice dialing didn’t work in our case. We could activate it only while using other phones. By manufacturer declarations, operating time of this headset is up to 3 hours in the talking mode and up to 150 hours in the stand-by mode. In reality it worked about 2 hours in the talking mode and 2 days in the stand-by mode. Loudspeaker has a good volume level. The device could be worn on both sides. Shortcomings of this model is that it is tiresome; it’s not heavy, the weight is only 26 grams, but a desire to put it off is increasing after a while. This bluetooth headset is not very expensive; it cost about 120-140 USD. In response to design, the device looks angular and, as a result, old-fashioned. Besides, it has rather large dimensions. 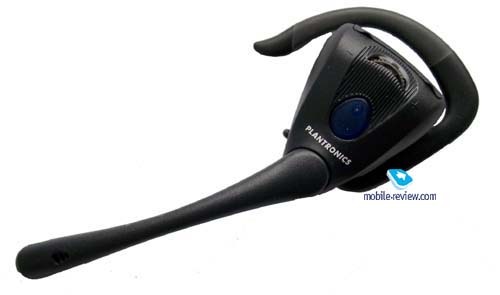 As we’ve already mentioned not only mobile phones manufacturers produce bluetooth headsets, for example, Plantronics is famous by its wire handsfree devices, it is one of the leader on this market. 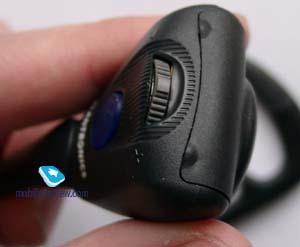 New bluetooth headsets models showed by this company are М1000 and М1500. The second one has a special adapter in the standard kit, which can be switched to the phone that doesn’t support bluetooth. So, due to this adapter, you can add bluetooth-function to your phone. It’s a controversial solution, because apart from the phone, you should always wear a small box near it. Price of М1500 is higher than that of М1000. 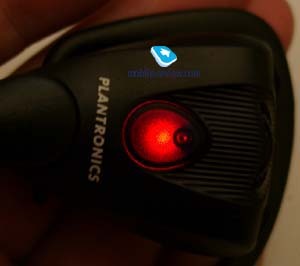 Plantronics states that battery of М1000 can work up to 2.5 hours in the talking mode and up to 60 hours in the stand-by mode. Time of full re-charging is about an hour. During re-charging it is possible to use this device, though as for me, it’s not convenient and there is no sense to do it. The battery could be changed without any difficulties, and it can be bought in any shop. Such construction is reasonable if you are going to wear it for ages, in other cases it’s useless. A usual battery serves 2-3 years without any problems. Wireless handsfree from Plantronics can be worn on both ears and it’s rather massive. It fits free on an ear and could dangle when you turn your head. It can’t fall down, but you don’t feel comfortable with it. M1000 weighs 26 grams. 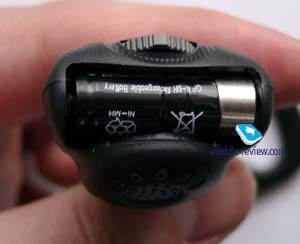 It’s possible to rotate an external part with microphone to adjust a direction of the microphone as precisely as possible. In reality this function is not very useful. Design of this device is not ordinary, it is similar to usual professional wire devices from Platronics. A person with M1000 resembles either a phone operator or a secretary of the large company. We think it is one of the most unsuccessful designs among all devices. M1000 worked about 1 day and a half in case of 45 minutes of talking. M1000 has a good price, about 120-130, but it has an awful design and unreliable holder. German magazine “Сomputer Bild” named M1000 the best bluetooth handsfree 2002 and noted that it had the best sound quality of speech. In our opinion it is comparable in all devices. According to this magazine, one of the main shortcomings of HBH-30 is a small answer key, we think that it’s not important because it’s much more convenient to use a voice command to answer. Generally speaking, this test is rather controversial. 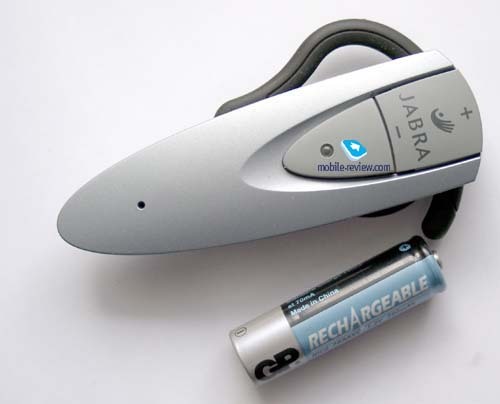 Jabra BT-100 and wireless handsfree from Motorola took the second and the third places respectively. In reality it is the same product, in the second case it is just an ODM-product. According to this test HBH-30 has up to 6 hours of stand-by time, though our tests showed absolutely other results. Unfortunately we don’t have an opportunity to test BlueSpoon from NextLink because we couldn’t find it in Russia, so the last device, which we had as a test sample, was bluetooth from BlueTrek. 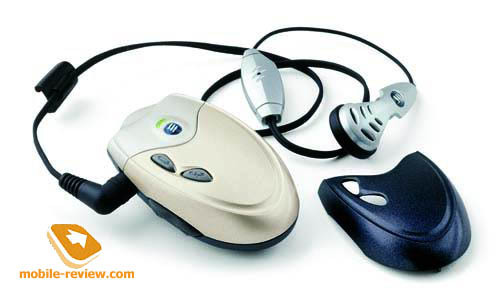 This trademark is known by bluetooth accessories for PC, today we can see also bluetooth headsets. Standard kit includes a charger, cigar lighter adapter and a hostel, which has an acceptable quality. Today it is one of the best standard kits on the market. At first, it seemed that due to original shape of this bluetooth headset, sound would’ve not heard, but it was quite the contrary. The only shortcoming is that not everyone could quickly put this headset on; it’s better to look at the picture before trying. Practice test showed that ladies got used to it faster than gentlemen. The weight of this device is 27 grams. BlueTrek wireless handsfree worked about 1 day and a half in case of 1 hour of talking. Control panel is located on the rear part of this headset, as for me, it’s very comfortable. Taking into account that you can answer by any key, convenience of the control panel plays the second role. This handsfree fits well on the ear, it is pleasant to wear, you don’t feel any discomfort even when you wear it for a long time. The shortcoming of this device is that it is covered by a protective film, which soon began to peel off. In approximately two weeks the device looks nice again, but during the period of peeling it’s not so pretty. Nevertheless, it is an optimal bluetooth headset to purchase today. It costs only 80 USD, supports all functions and provides a sufficient autonomy. Besides, it is very convenient and has the richest standard kit.